Melt the butter, add the rhubarb and 1 cup of sugar. Cook slowly for 8-10 minutes until the sugar melts and rhubarb is soft. Separately, mix 1/4 cup sugar, cornstarch, egg yolks, cream, and salt. Add the fruit mixture and cook until thick (approximately 3 minutes). Pour into shell. Top with meringue. Bake at 300 degrees for 15-18 minutes until meringue is golden. 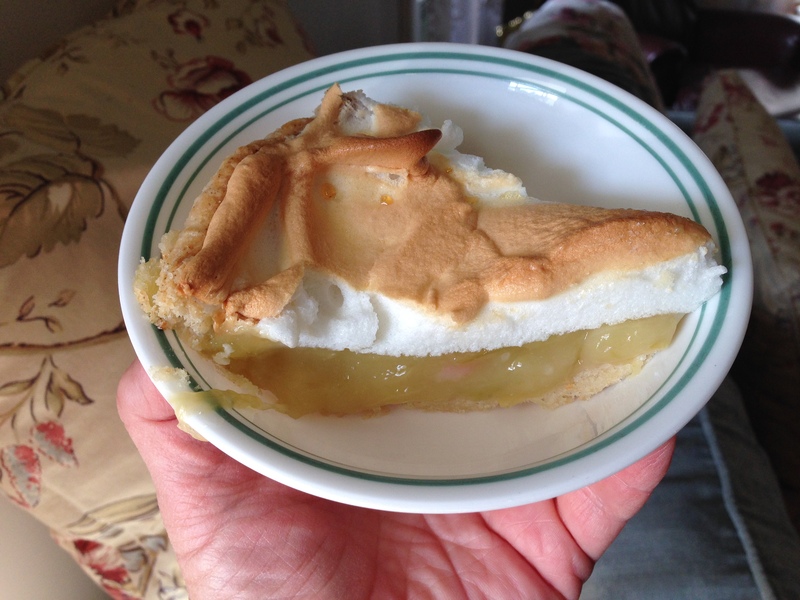 The photo is of the rhubarb pie my mother made today from the rhubarb in their garden. It was delicious. It taste something like lemon meringue pie. Yummy Yummy!